Students will be able to identify animals and their offspring by their images and names. Call your students together as a group, and ask them to identify the names of a baby cow, baby cat, and baby dog. Inform them that cows have calves, cats have kittens, and dogs have puppies. Explain to your students that animals have babies that they take care of. 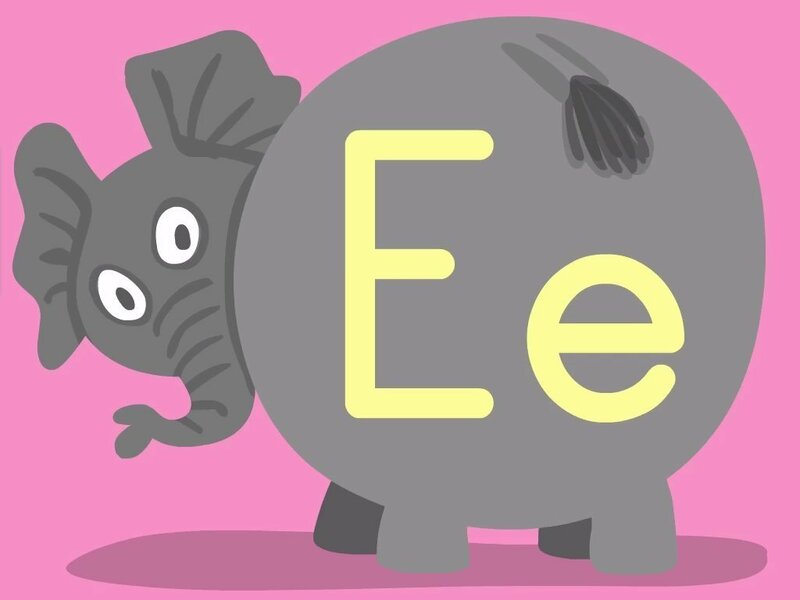 Tell your students that today they are going to learn about animals and their babies. Tell students that animals take care of their babies just like parents or guardians take care of their children. Show students images of a duck and duckling, a chicken and a chick, a cow and a calf, and a whale and its calf. Read Animal BabiesBy Eric Carle. 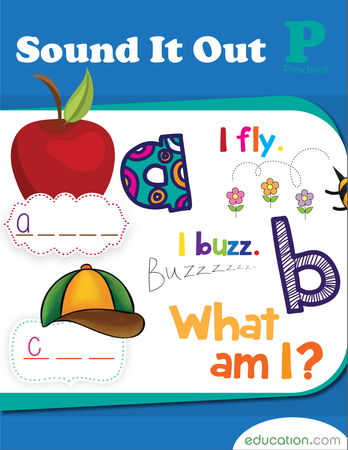 Direct the students to imitate the sounds that the animals make. Attach the images of the animals to the whiteboard randomly with magnets. Ask a student to come up and find a matching pair. Allow each student to have a turn. 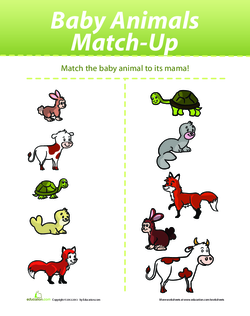 Give each student a Baby Animals Match-Up worksheet and a pencil. Give the students time to complete the worksheet. Collect the worksheets to grade. Enrichment:Give students a blank sheet of paper, and instruct them to draw as many animal baby pairs as they can remember. 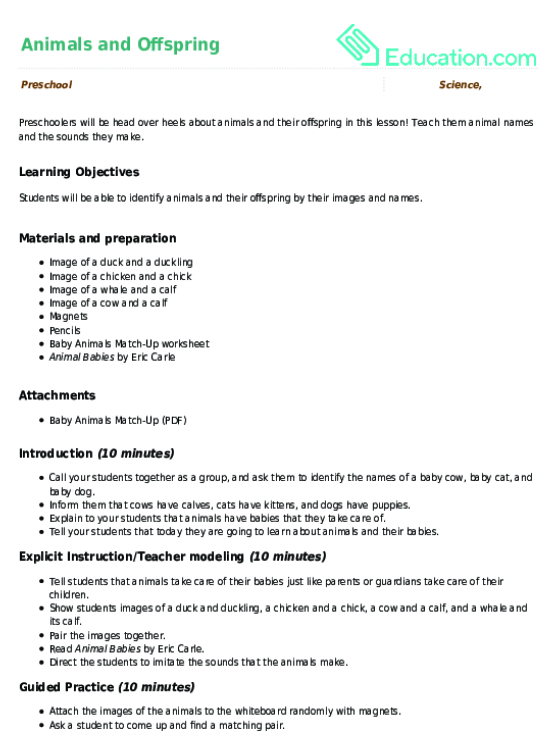 Support:Have students identify baby pairs in Animal BabiesAnd verbally describe them. Grade the independent worksheets, ensuring that your students are matching parent animals to their babies accurately. Ask students to identify the the mother of a chick, a kitten, a puppy, a calf, and a bunny. Take responses by raised hands. Add colour to the farm animals and the barn that make up this mandala. Please Don't Feed the Animals! 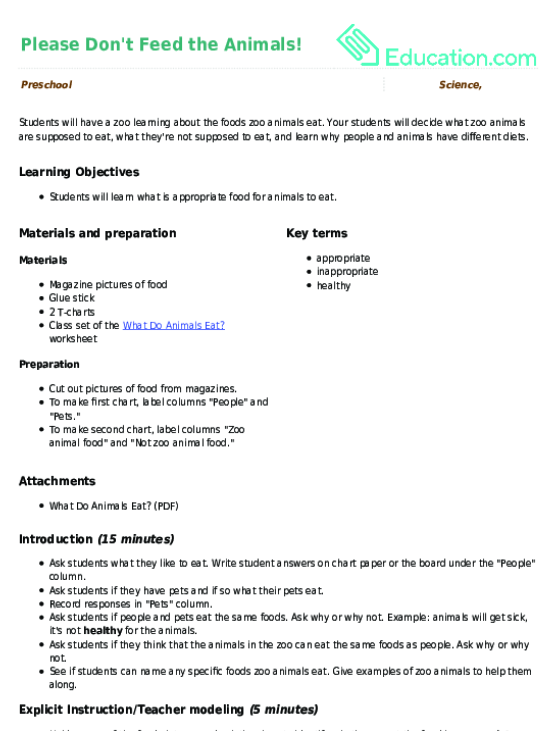 Your students will decide what zoo animals are supposed to eat, what they're not supposed to eat, and learn why people and animals have different diets. Can your little farmer help feed the animals? Match up each animal to the food it likes to eat.